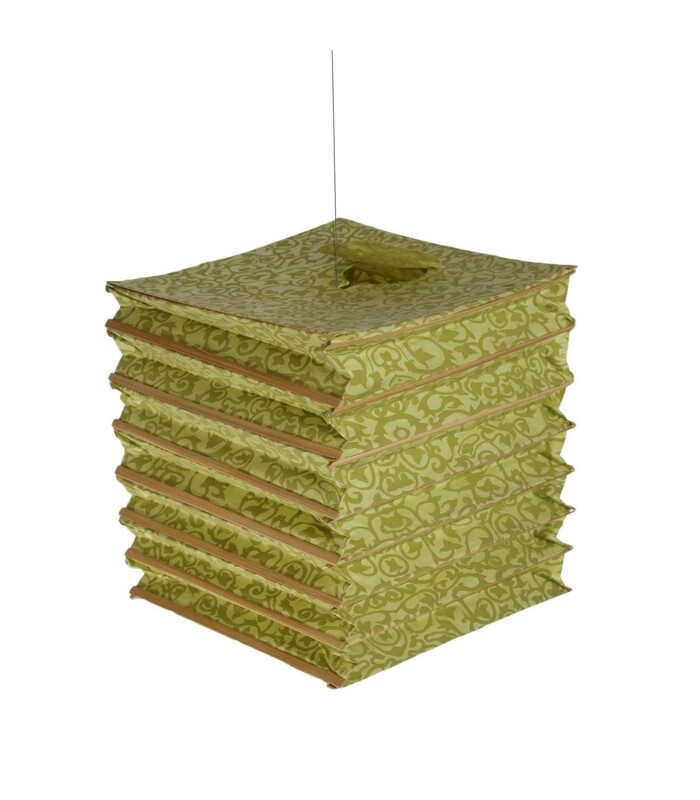 Handmade accordion shaped lokta paper lamp shade. 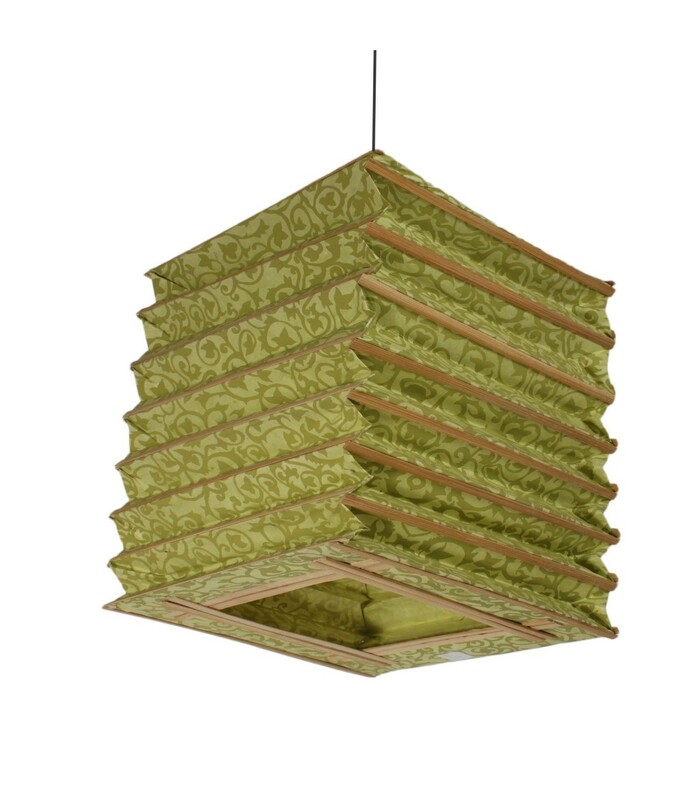 The lamp comes in a flat square shape, Pull the string/ tread and it will automatically rise and form into an accordion. 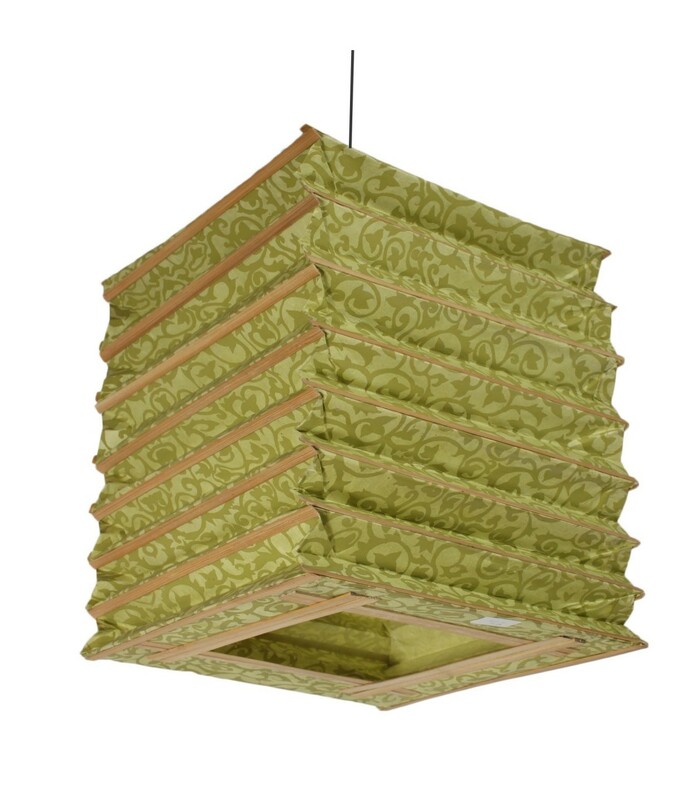 Lokta paper has anti insects, anti moth qualities and is durable.